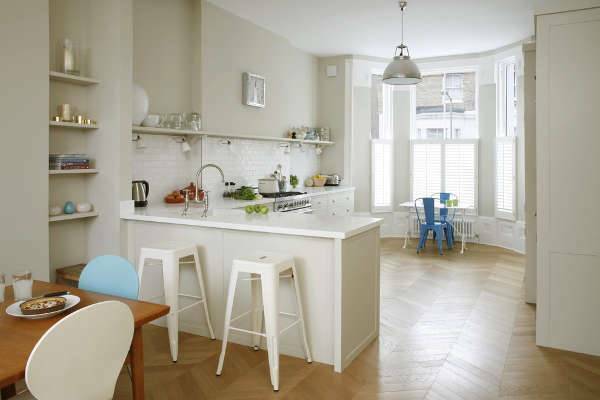 L-shaped designs are perfect for a small kitchen as it uses two walls only leaving ample space for traffic flow. With a free flowing kitchen, you can entertain guests in the kitchen while preparing meals without worrying about traffic jam. 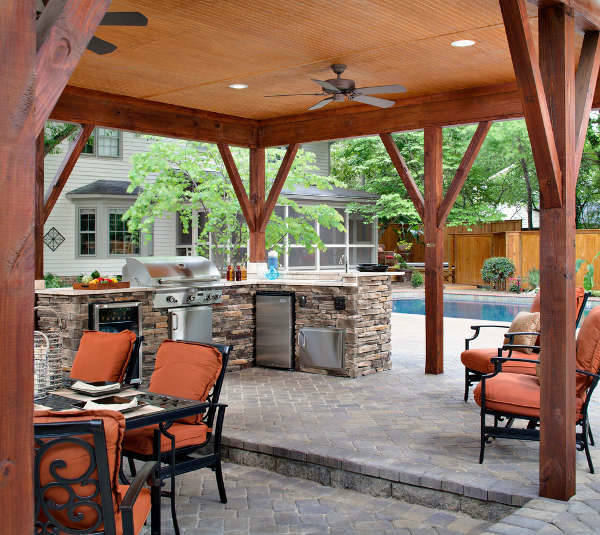 If you entertain friends and family in your backyard during summer or on weekends, then an L-shaped outdoor kitchen is ideal for you. This layout provides better usage of space for small areas and allows easy access when you need to move from cooking area to the sink. A large kitchen that uses the L-shape design provides good flow, put the most used items at close reach and make it fun to spend time in this area. By adding a few stools, the longer wall on the L shape design can act as a dining area for two. 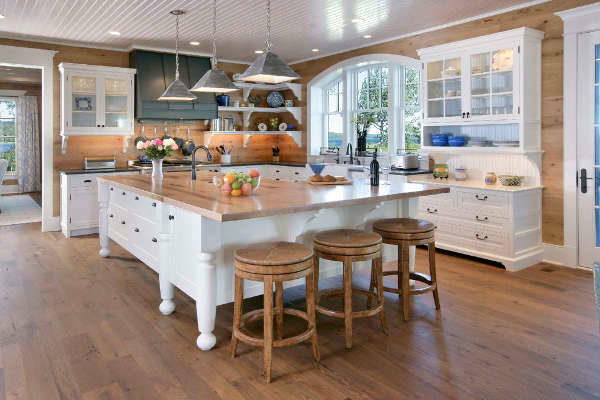 L-shaped kitchens have the basic layout to include an island. A small island at the center of the room with a cooktop can still leave more room to include chairs for a busy family to eat food in a casual setting. 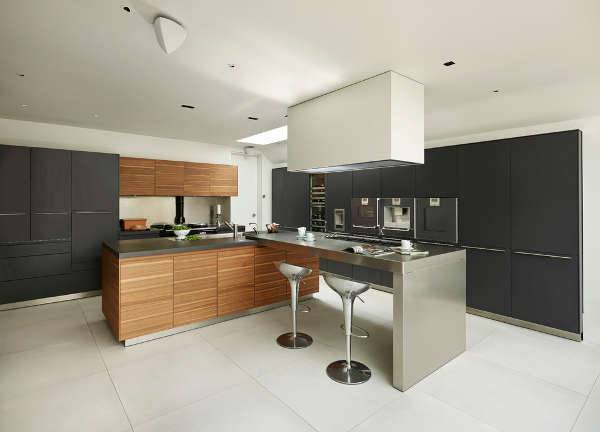 Are you thinking of designing an open plan kitchen during your next remodel? 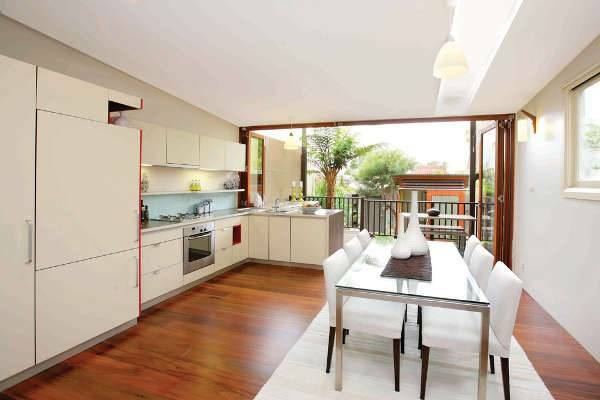 Then opt for an L shaped open kitchen. 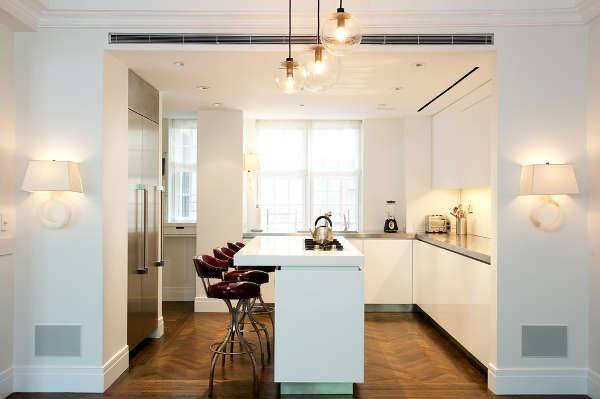 An open layout is the hallmark of modern kitchens. 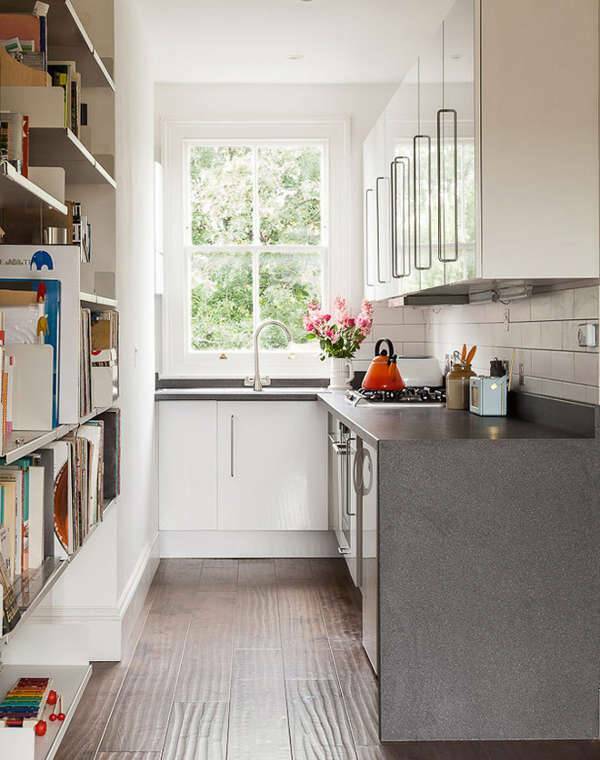 Since an L-shaped kitchen uses two walls, it will naturally open up the kitchen space. L shaped kitchen designs especially those that utilize the corner, create two ends which can act as an entry and an exit preventing people bumping into each other. 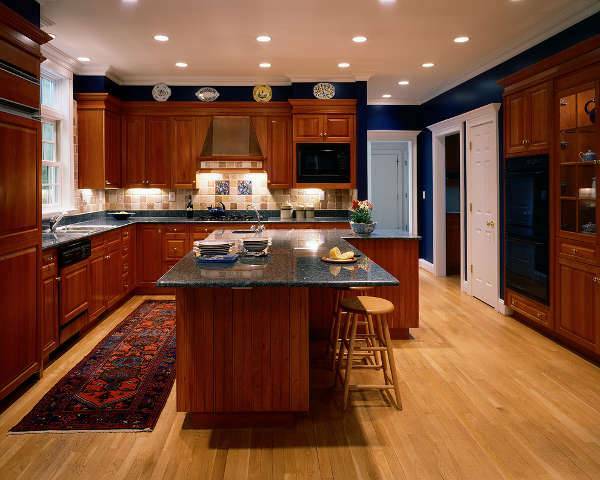 A countertop color that contrasts with the walls adds to the décor and style of the kitchen. 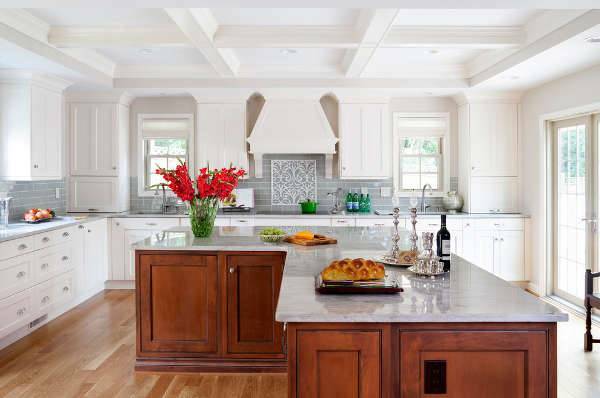 An L-shaped kitchen with white draws and countertops gives the room a friendly and inviting feel. White cottage kitchen cabinets or countertops makes the room fresh, brighter and organized. Break the color monotony and create a focal point by adding a bold colored chair. Wood never goes of style, so when you opt for wood L-shaped kitchen, you are getting durability, variety, and a classic appearance. 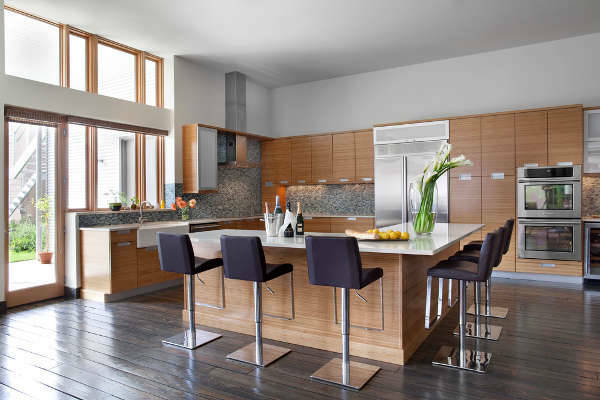 L-shaped kitchen is a favorite to many homeowners as it adapts to small, medium and even large spaces. It works in both open and closed kitchens. As it utilizes only two adjacent walls, one length can be adjusted without crowding the area. With the sink, stove, and refrigerator following a working triangle, multiple people can be in the room at the same time allowing work such as cooking and cleaning to be done quickly. When remodeling modern kitchen designs, the L shape layout provides efficient workspace by allowing appliances to be installed along the angled walls leaving an open space in the center for allowing a smooth traffic flow. Homeowners who are thinking of remodeling the kitchen should opt for L-shaped designs as it is multipurpose.